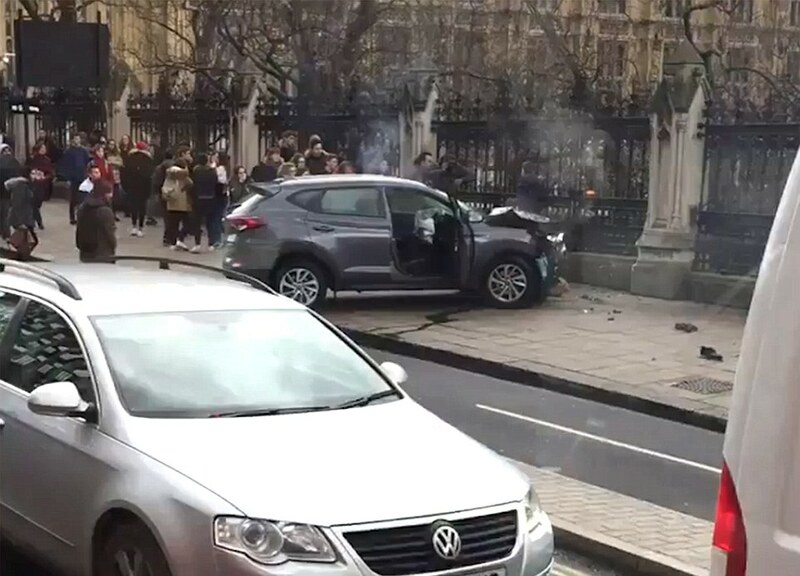 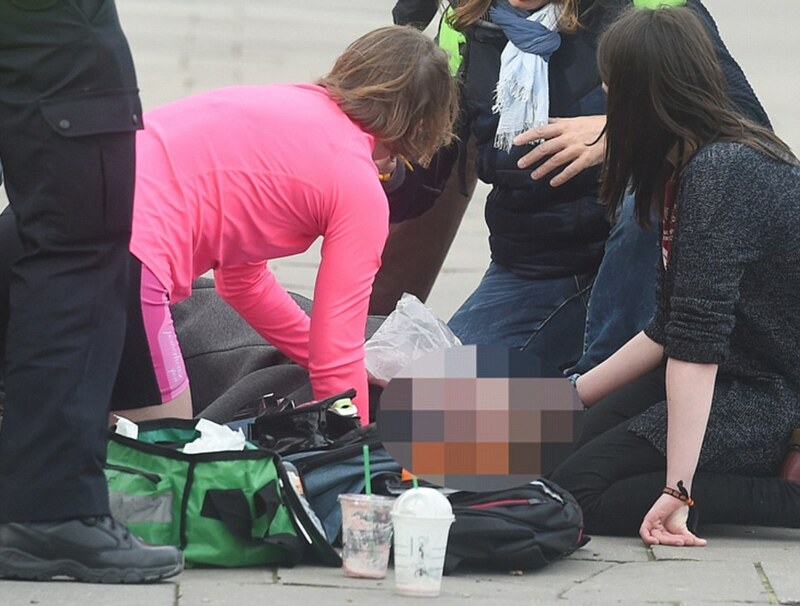 Five people have died and at least 40 were injured after an attacker drove a car along a pavement in Westminster, stabbed a policeman and was shot dead by police in the grounds of Parliament. 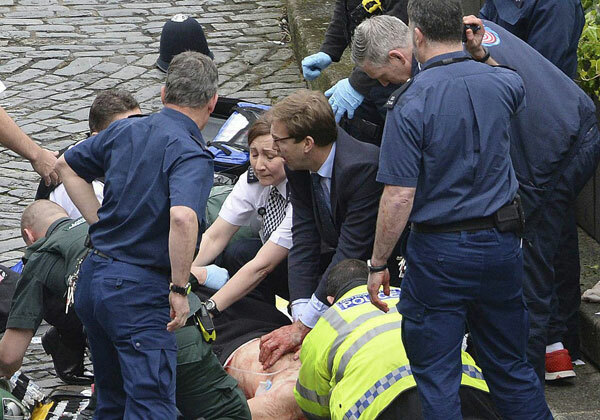 The dead officer has been named as PC Keith Palmer, 48, a husband and father. PM Theresa May said the attack was "sick and depraved" and struck at values of liberty, democracy and freedom of speech. 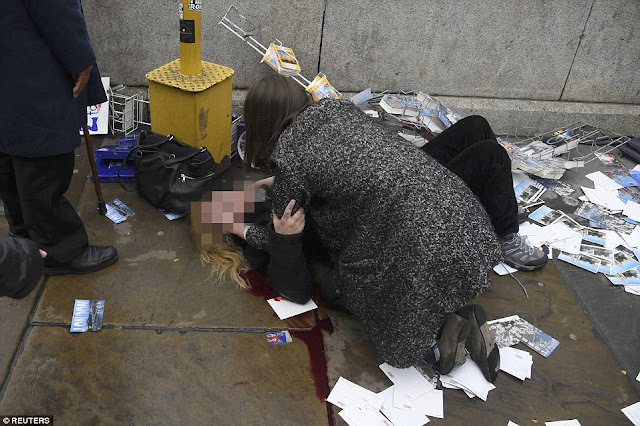 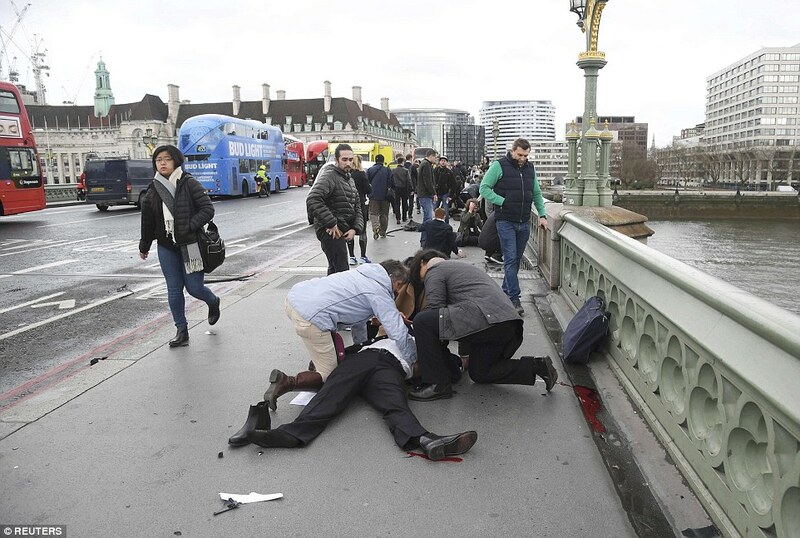 The attacker has not been named by police. 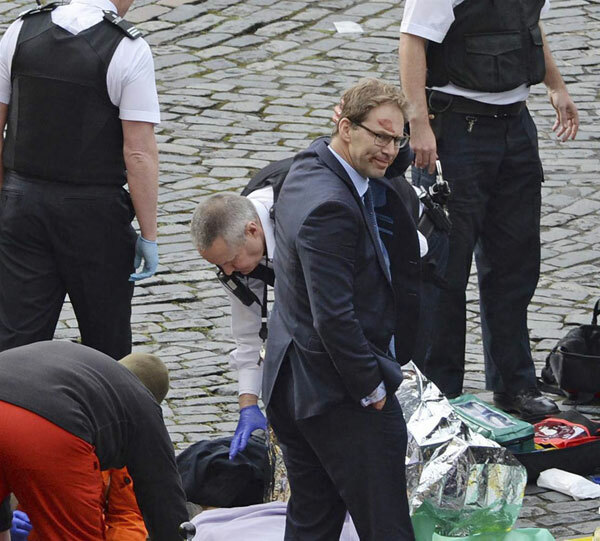 Acting Deputy Commissioner and head of counter terrorism at the Metropolitan Police, Mark Rowley, said they think they know who he is and that he was inspired by international and Islamist-related terrorism, but gave no further details. 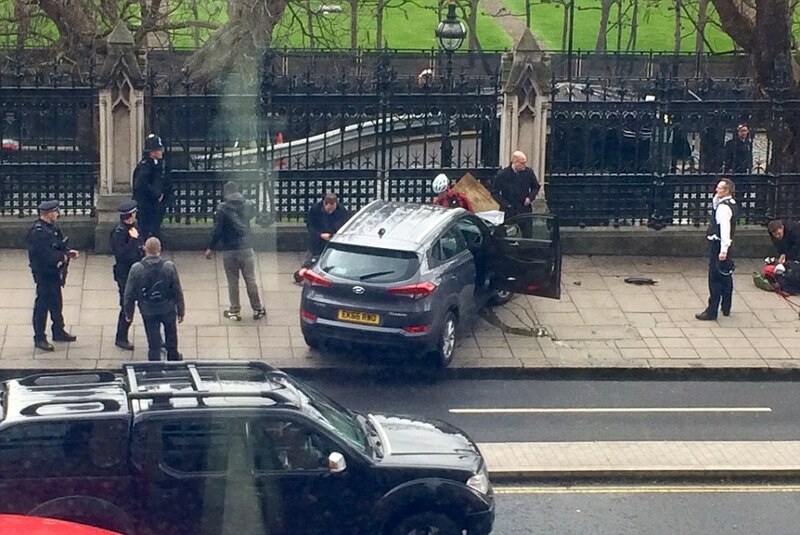 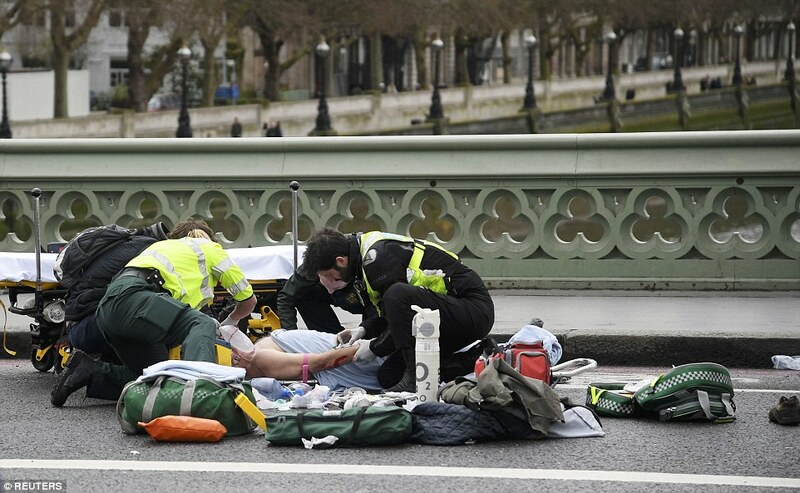 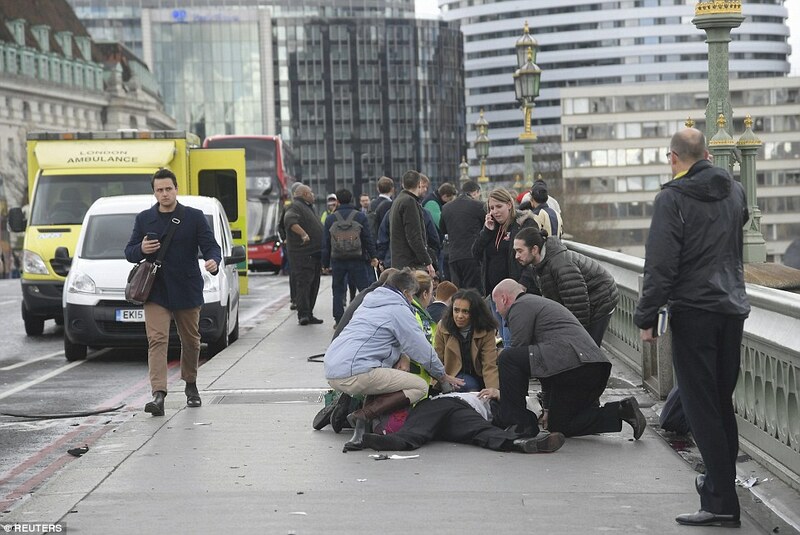 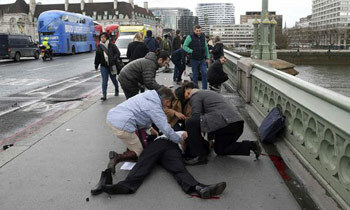 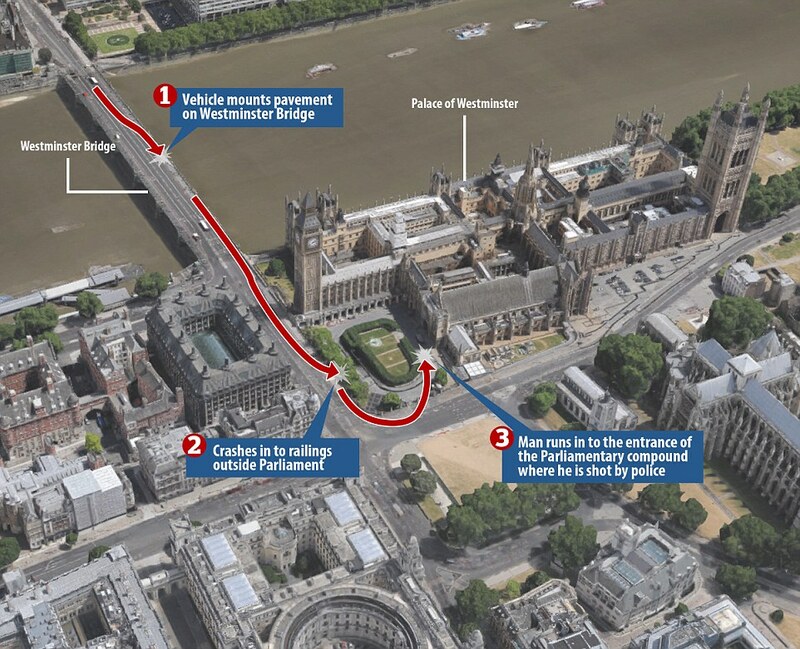 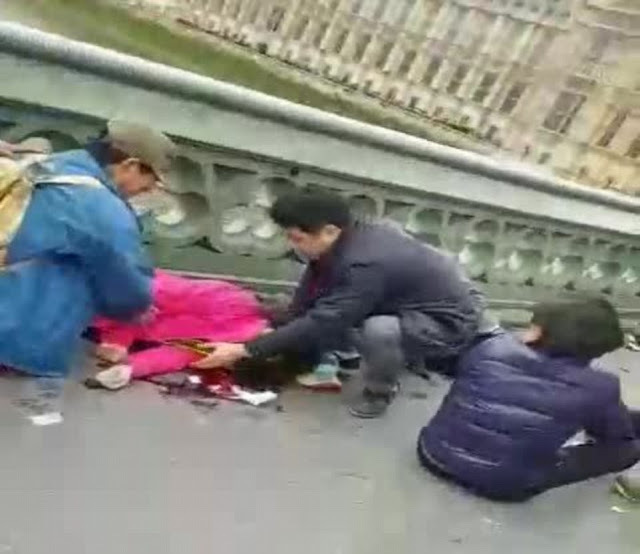 The attack unfolded at about 14.40 GMT when a single attacker drove a car along a pavement over Westminster Bridge, near the Houses of Parliament in central London, killing at least two people and injuring many more. 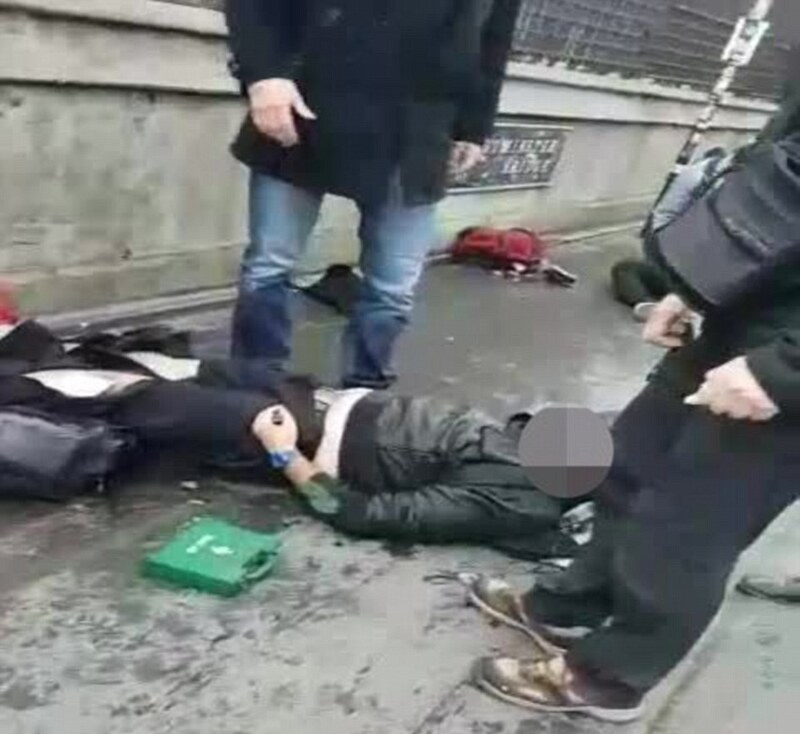 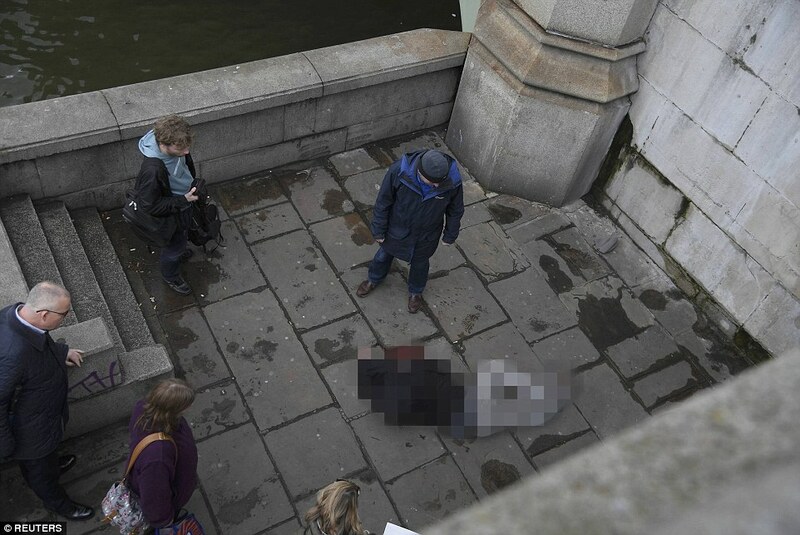 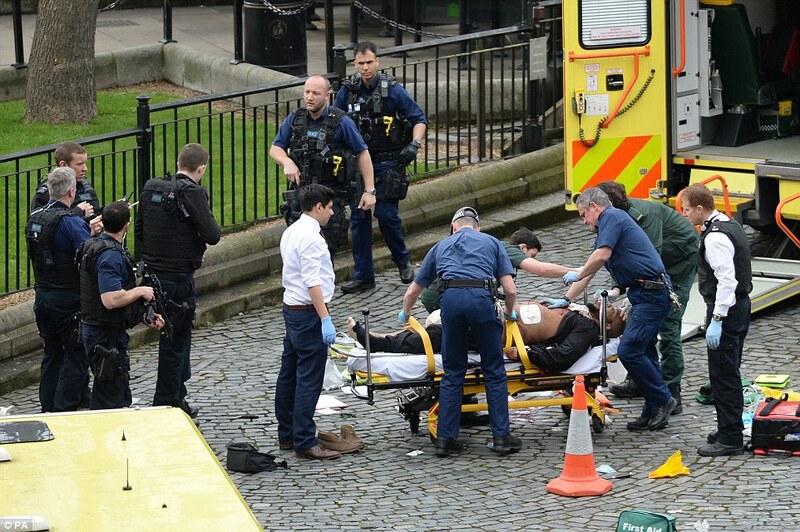 The attacker, armed with a knife, ran to Parliament where he was confronted by the police. 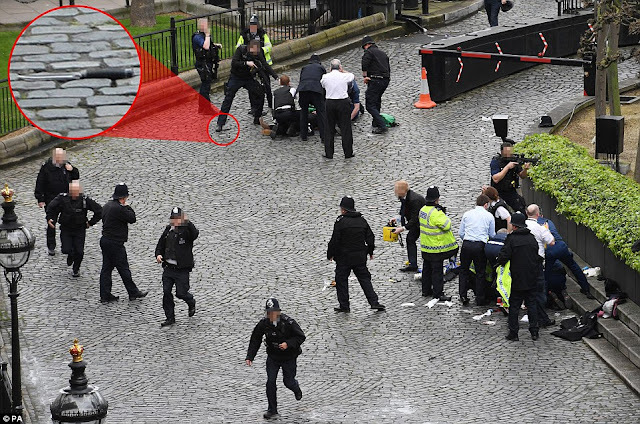 PC Palmer - who was not armed - was then stabbed and killed.